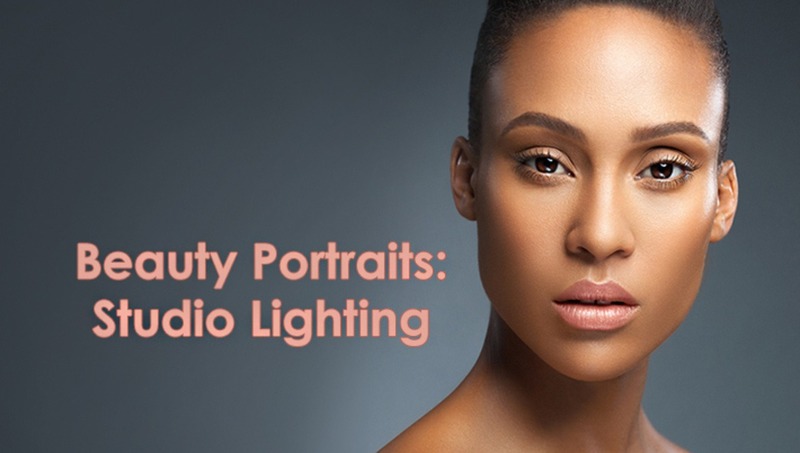 In this article I would like to share some of the basics and tips for those of you who enjoy shooting beauty portraits with controlled artificial lighting. 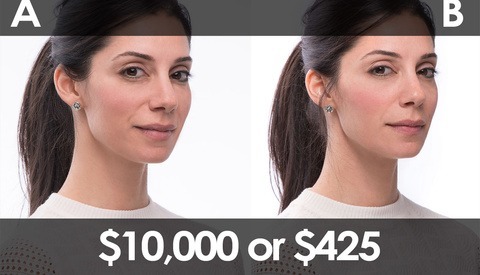 Make sure to check out my previous articles of this series: Secrets to Crafting Top-Quality Beauty Portraits: On Location Lighting and Composition and visual balance. Of course, the way we handle light on location or in studio and the physical laws of light are still the same. Human sense of sight has a very high dynamic range, whereas the dynamic range of digital camera sensors is many times less than that of the human eye (Wikipedia - Dynamic Range in Photography). Therefore, in order to create a more realistic photograph we should try and match the luminance range of a scene we're capturing to what we normally see with a naked eye. So, when it comes to lighting in photography, ultimately our goal is to increase Dynamic Range by filling in dark shadows and capturing details in both the brightest and darkest parts of the image. Unless of course, your creative idea behind the photo is to achieve dramatic, moody light. That is where traditional studio lighting principles begin, and we sure often deviate from that with our creative ideas and artistic lighting. I like experimenting and breaking some rules too, but whenever I am browsing through my new images in Lightroom, one of the main elements I am watching closely for is clipping in the highlights and shadows. I always try to avoid that and the sure way is, of course, lighting my portraits properly. If I didn't do a great job with preserving details in both shadows and highlights with my lighting, I still have a chance to save them by getting the best out of my Raw files. But since we're here today to talk about lighting, let me share with you my thought process and decisions in various shooting situations. How big the area I want to illuminate is: full body shots (softbox) or close-up beauty (Beauty dish), or both types of images in one photo shoot (softbox). My subject's skin condition: flawless, even skin will allow me to use a slightly harder light (Beauty dish) and for aged or problematic, uneven skin I will use a softer light to avoid exaggerating skin problems and make my post-production stage easier and quicker (softbox). My creative ideas: sometimes even if I'm shooting close-up beauty, or simple portraits, and my model's or client's skin is great I may still go for a softer light, if that's what I envisioned for the final images of that particular photo shoot. Many faces in one photo shoot: when I am shooting for a client with a few models, which I did not select and haven't seen before the shoot. I will normally setup softer light (softbox), just in case some of my models have less then ideal skin. If you ever wonder what light modifier was used in a picture you like, learn to "read" light by the form and size of catchlights in the model's eyes and hardness/softness of the shadows on her face in my How to "Read" Light in Photography. In this image I used a Beauty dish as my key light source modifier. My silver reflector was in front of the model to fill in deep shadows under her nose and chin, and regular metal reflectors on the background and rim light sources. My model's skin was flawless and we had an amazing Makeup Artist on set, so I knew that harder light was perfectly acceptable in this situation. If you have never shot with a Beauty dish, or just starting out, I strongly recommend that you watch this video by Sean Armenta, Los Angeles based beauty, fashion, lifestyle and celebrity photographer, which he recorded for the Fstoppers BTSV contest a few years ago. For the following two photos I used a large softbox as my key light and the rest of the setup was the same as in the previous image. It was a photo shoot for Pravana, a Los Angeles based hair product company, and I had ten models to photograph. Besides, this photo shoot was all about hair and hair colors, so I chose to go with a softbox to capture the main details in the most flattering light, and avoid creating more retouching problems if one or more models did not have nice, even skin. If you haven't been regularly shooting with the mentioned above light modifiers, you may not notice the difference between the lighting in these images (Beauty dish vs. Softbox). Yes, it is very subtle, but you will learn to see it as you shoot and analyze your images more. 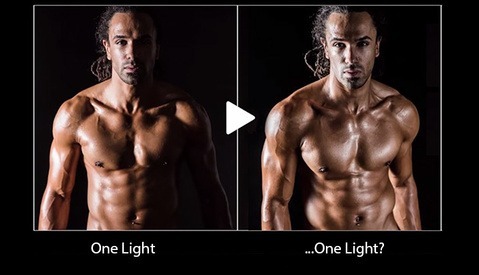 It usually is quite easy for an experienced photographer to determine what light modifier was used as key light in a photo, which means the difference is there and it is visible to a trained eye. 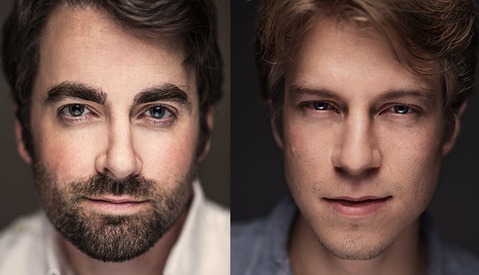 Start training yourself by assessing the depth, darkness and hardness of the shadows under the models' noses and chins and you will soon be able to tell the softbox light/shadow from the Beauty dish light/shadow. Beauty dish light is always just a tiny bit harder (= darker and more defined shadows) than softbox if you're using a diffuser (a "sock"), and even harder than that if you're using a grid. For the background and rim light sources I always use simple metal reflectors. The light they shape is very direct and hard, but by adjusting strobe power and its distance from the backdrop or the model you can achieve nice rim and background light. And of course, there's always my irreplaceable lighting tool - the 40" silver reflector. It is always silver, because I don't want any color cast in the reflected light, which you may get if you use a golden reflector. And white reflector does not reflect the light as well as silver. If you don't have a reflector you can easily make one by taping or gluing aluminum foil (the type that we use in the kitchen, approx. $5 for 75 sq ft) to a piece of cardboard. Or just use a silver sun shade from your car - it's also relatively cheap ($10-20) and does a great job. And 3 more DYI panel reflector ideas, including our own Rich Meade's High Fashion Specular Reflector tutorial. If I ever fail to bring my reflector to a shoot (it's super rare, but does happen), I will fire one of my additional strobes or flashes into a white wall behind me. Or even just into a large bright surface behind me, if the walls are painted into a color other than white, or are too far away to bounce the light off and fill in the shadows on my subject. In the following two images that I photographed during my recent Beauty Photography workshop in Umbria, Italy (organized by Photoshop Guru Marianna Santoni), you can see how drastic the difference is between dynamic range in photos shot with and without a reflector. These images are deliberately demonstrated unedited, so you can see everything as shot. I use color gels to alter colors of the light sources in my images. Make sure to check out my article Shooting With Color Gels, if you like artistic, colorful lighting. Color gels that you can buy online and in camera stores are usually of various density, which will affect the amount of output power you need to set your lights to. I personally buy simple colored gift wrapping paper from hobby & crafts shops and because it's very thin, I sometimes have to fold and double it to achieve richer colors. In the next photo my lighting setup included a Beauty dish on a boom as a key light, regular metal reflectors on the light with orange and blue color gels behind the model. Reminder: when shooting with color gels, remember to turn off the modeling lamps to prevent the gels from melting. And even though I have said earlier that I mainly shoot with my two most favorite light modifiers, I still sometimes use other types such as umbrellas, octaboxes and regular metal reflectors. For example in the following lighting setup I used a 7-foot octabox, because we were shooting a collection of images with close-ups and full body length shots. This large light source allowed my models to have as much freedom for movement as they wanted. In the next image I fired my strobe (key light) into an umbrella. I photographed it during my trip to Las Vegas in 2012. This light modifier choice was made simply because I could not fit my Beauty dish into my suitcase. The quality of this light is slightly different from both softbox and Beauty dish - it is a little harder than Beauty dish in my case, but you can soften the light if you shoot through an umbrella. An umbrella may not look as professional as the other two when you mount it on your light at a client shoot, but it is still a great light modifier for portraits and close-up beauty, which you can easily travel with. And lastly, I sometimes use a regular metal reflector to shape my key light as well. One last thing I want to mention today is light meters. I've owned one for years, because we had to purchase it when I was in my Photography college. And I I've only used it maybe a dozen times overall. I'm an artist and I rely on my senses, I prefer to see and "feel" light, and assess my lighting by test-shooting and adjusting it a few times in the beginning of a shoot. But I still always carry it in my backpack to every photo shoot, because it is very helpful when you have to set up your lights very quickly. Or when you are, for example, shooting with new or rental lights. If you don't know how to use a light meter, or don't know what it does, check out this page on the Seconic - one of the leading light meter manufacturers - website: Learn how to use a light meter, and what the difference is between incident and reflected light. Of course, there are many more other lighting modifiers, setups and tools out there, these are just my preferences, solutions and tips. Now that you know what these light modifiers do, go ahead and try shooting with the ones that you liked. Remember about the "1 percent inspiration and 99 percent perspiration" rule and practice as much as you can! Julia is a Los Angeles based internationally published Beauty & Fashion photographer, digital artist, retoucher and educator. 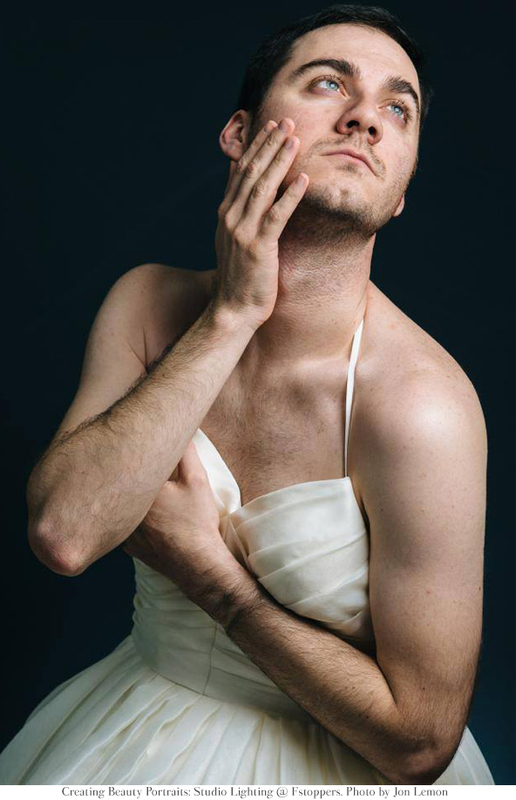 An International College of Professional Photography (Melbourne, Australia) graduate. Retouching Academy founder and Editor-in-Chief. amazing as always!! quick question, you said turn off the modeling light when using a gel so it wont melt... but how do you get the motion from a longer exposure with the gel if the modeling light is off? do you only need it off if its actually touching the lamp and you have the modeling light on when dragging the shutter? or do you gel/color correct your key light so that the rim lights can be a different color without a gel? as a side note.... the pic of Tori with the red a blue rim light is one of my favorite pics from you! its completely amazing! Well, you are talking about two techniques here, so of course that doesn't apply to the long exposure shoots. I recommend turning off modeling lamps for regular shoots, but when you mix strobe and continuous light, you sure can't do that. Yes another amazeballs post by the talented Julia! Yet again Julia, this is a really well written and thought out article. You have quickly become one of my favorite writers on photography and your work is beautiful. Thanks Jay! That means a lot, thank you! My guess for the light modifier in the last image: Small square softbox? Mainly because of the catch light in his eyes. Greg, do you have any videos you've done before on your website or anywhere I could check out? I visit fstoppers because of julias' posts these days, because the quality of the content here by far outdoes everything else. That doesn't mean the rest is bad, it's just that most of the rest feels like you've seen it before. Totally agree. Her posts have always been top notch in both the instructions and the images featured. Big fan here. I use a beauty dish and one reflector for a my beauty shots. I basically follow Sean Armenta's technique and then add lights on the side as I see fit for rim lighting. I tried some of Julias color gel tips, but I still need more practice to get it just right. Wow this is an amazing assortment and description! I'm not sure if I missed it or if Julia just doesn't use Strip Boxes. I'm just starting to play with the wide variety strip boxes can play either for front lighting or for a nice rim light, I'd appreciate any examples with those as well! I love this whole "series" as well!! Thank you so much! Christian, Strip Boxes are good too - I used them back in my photography college, because we had them at the studio. I just don't own any now, that's why I don't shoot with them. If you have Strip Boxes, you can totally use them in place of Softboxes. Helpful article yes - just a thought about the article's title though - Maybe throwing the word 'secrets' into a blog title may induce more click throughs, but it's such an overused word in the blogosphere that it's lost its meaning. Can F-Stoppers just stick to the words 'advice' or 'tips' instead? When the internet became an encyclopedia for everything, 'secrets' no longer exist. ok,I am agree this lines.